Making its US debut this fall at the 2011 ABC Kid's Expo is QuickSmart, Australia’s premiere line of innovative, lightweight and portable juvenile products. Headquartered in Melbourne, QuickSmart’s parent company Funtastic began distributing products for the children's market in 1994. Funtastic quickly dominated the Australian market, and by 2009 was ranked third only behind global giants Mattel and Hasbro. In 2003 Funtastic branched out with their own QuickSmart line of highly portable juvenile items that target parents looking for travel solutions and day-to-day portability and convenience. With QuickSmart’s innovative, lightweight and stylish products designed specifically for the active life, parents are encouraged to "Never Miss a Moment" as life with baby flies by at the speed of light. QuickSmart’s two flagship products, the Easy-Fold Stroller and the Backpack Stroller, have already experienced unparalleled success in both Australia, the UK and Japan. What makes these Quick and Smart strollers unique is a patented design that gives them the most surprising, compact fold on the market, allowing consumers to ditch their heavy clunky gear and be as light and agile as our mobile society demands. Rounding out the QuickSmart line are the Easy-Fold High Chair, 3-in-1 Easy Fold Play Yard and the 3-in-1 Travel Bassinet. And once baby becomes mobile, parents can look to QuickSmart’s line of foot-to-floor ride-on toys to burn off their toddler’s extra energy before nap time. The Australian Design Awards recently recognized both of QuickSmart’s adorable ride-on toys, even praising the Scramble Bug 4-wheeler as “an innovative product of quality, value and reliability in the marketplace.” Both the Scuttle Bug and the Scramble Bug offer sturdy design and a patented folding system that makes them easy to store, tote and pack! 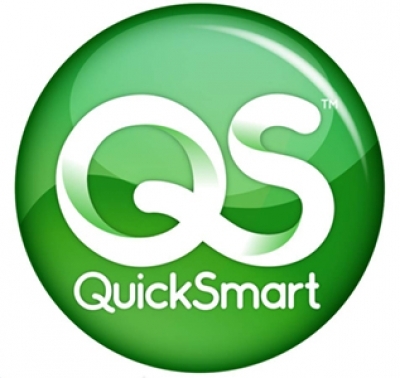 In Australia, the term “quicksmart” means “on the double” or “ASAP”. What could be more appropriate for a busy society like ours, where we feel compelled daily to get more done than we have time for? Thankfully, QuickSmart gets it. With their new and innovative line of products, parents can rejoice as they take one more complication out of their busy schedules. For most of us, that’s the kind of relief we need QuickSmart.